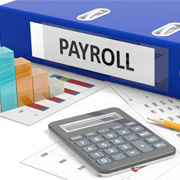 At Outsource2india, we provide proficient high quality payroll services. Our services span end-to-end payroll accounting, tax administration and reporting services. Take advantage of our expertise and lighten routine administrative tasks by partnering with us. Reduce costs and increase profits – outsourcing payroll services to O2I will reduce operating costs by up to 50%. Our comprehensive service gives you access to a convenient and reliable payroll process. It involves tedious routine work. Outsourcing this process allows you to focus on growing your business. Save cost, focus on core tasks and enable growth without manpower and infrastructure restrictions. Payroll processing load can increase seasonally, at the end of the financial year when taxes need to be filed. Outsourcing this task to Outsource2india gives you higher flexibility with staffing. The time zone advantage also plays a big role during peak season. The team in India continues working while your US team is asleep, keeping the process going for 24 hours. Why Outsource Payroll Processing Services to Outsource2india? Outsource2india has core competency in payroll processing. Our team has over 10 years of experience providing high quality services to companies around the world. Outsource2india can manage your payroll services and also help you with other administrative business functions such as HR and time and attendance. We integrate HR processes into our payroll processing allowing you to maximize time saving and minimize expenses. Outsource payroll accounting services to Outsource2india and benefit from high-quality services at low costs. Each company has different needs and to cater to this, we create customized payroll accounting solutions. O2I offers a complete service - payroll processing, tax administration and reporting. Use our finance and accounting services software that lets you customize fields and functionalities with a simple click of the mouse. With our breadth of experience, you can be sure that your payroll and tax filing will be calculated accurately, on time, every time. We have very strict data privacy and security regulations and guarantee that your information is safe with us. Outsource Payroll Services to Outsource2india and benefit from our expert services. If you are looking for a specific payroll accounting service and don’t see it, we can probably customize it - just ask. Contact us to outsource Payroll Processing.